Australia could become an exporter of cutting-edge warships, according to one of the bidders on the $30 billion SEA 5000 Future Frigate project. At the cutting of steel for the UK Royal Navy's Type 26 frigate, one of the solutions being considered by Australia for the SEA 5000 project, Secretary of State for Defence Sir Michael Fallon told reporters there is ample opportunity for Australian companies to break into the supply chain and capitalise on export opportunities of the advanced ship. "That is one of the things we learn, that these supply chains are increasingly interconnected," Sir Michael said. "Of course there should be opportunities to for Australian companies to bid into our supply chain just as our companies want to get into the Australian supply chain. "The closer our royal navies work together, the more likely it is that we will see Australian and British equipment together side-by-side." These export plans fall into line with Minister for Defence Industry Christopher Pyne's ambitions for a strong defence-based export industry, ambitions that have been backed by politicians across both major parties. Last week Attorney-General George Brandis joined the list of politicians calling for increased export opportunities for Australia’s defence industry. "Australia has a very, very strong technical capability in defence industry and there are export opportunities to be sought," Brandis told Sky News. Minister Pyne told the ABC his "ambition is to enormously increase that capacity and send a lot more weapons overseas" to increase jobs in Australia. But Minister Pyne maintained weapons will not be sold to just any country. "We simply wouldn’t do so willy-nilly," he said. "We have a particular process for that." The minister said an expansion in weapons exports would aid the industry on the back of the $200 billion naval expansion in which Australia will build nine frigates, 12 submarines, 12 offshore patrol vessels and 21 patrol vessels for the Pacific. "We have completely re-energised, in a renaissance for shipbuilding industry in Australia, and they were decisions being made by this government," Minister Pyne said. "As part of that massive buildup of capability in the defence industry, we then need to look at exporting that capability because it brings treasure, investment and jobs to our economy here in Australia." Opposition spokesman for defence Richard Marles told Defence Connect the mentality about defence exports in Australia is one shared by both government and industry. "The requirements of the Australian Defence Force, right now, are significant, we are going through a big bill. Particularly in naval shipbuilding with the frigates, the OPVs, the Pacific Patrol Vessels, and of course the submarines." In a rapidly changing Asia-Pacific security environment, the Australian government requirement for the SEA 5000 Future Frigate Program dictates that the new frigates have capabilities spanning anti-air and anti-surface warfare, but with a major focus on anti-submarine warfare. It is expected that by 2035 half of the world’s advanced submarines and combat aircraft will be based in the Asia-Pacific region, with at least 76 submarines alone operated by North Korea and 68 by China, according to Royal Navy sources. 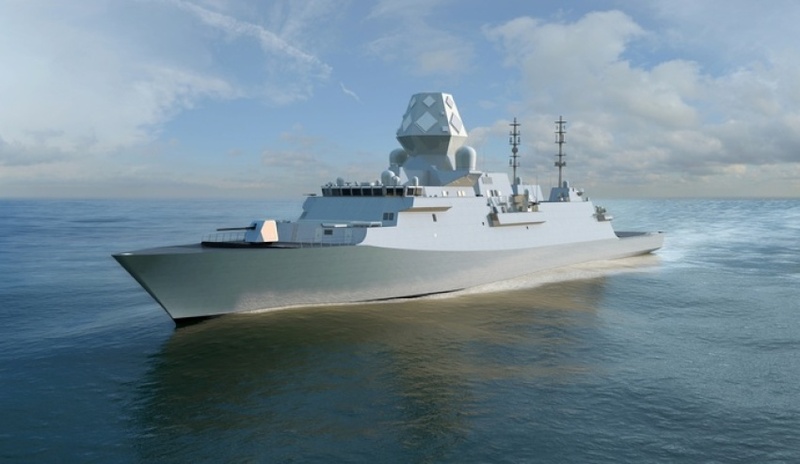 BAE Systems’ Type 26 Global Combat Ship is joined by Italy’s Fincantieri and Spanish firm Navantia as part of the competitive tender to secure Australia's SEA 5000 ship build contract, with request for tender documents expected to be lodged by the three businesses in August for consideration and assessment. The manufacture of the new frigates is set to commence in 2020. Fincantieri has proposed a multi-mission frigate, or FREMM, and Navantia a redesigned F-100 as part of their tender bids.